Husband-wife team, Anjan and Emily Mitra, owners of DOSA, share a passion for South Indian cuisine and culture that is part of the experience they’ve created at their restaurants. 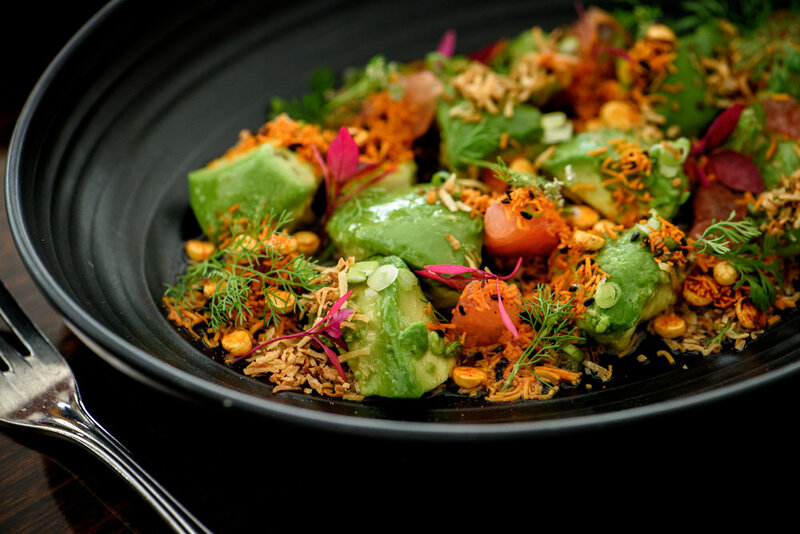 DOSA was the first and only Indian restaurant to source locally grown, organic and seasonal ingredients from our farmer's markets in San Francisco. A few times a week, you can find Executive Chef, Arun Gupta at the farmer's market very early and few hours before it opens sourcing high-quality ingredients from local farmers with whom we have developed a personal relationship. DOSA has been sourcing Seafood based on the Guidance of the Monterey Bay Aquarium Seafood Watch using local fisherman. Our high-quality Chicken the meets the standards for humane treatment as defined by the Global Animal Partnership, our Lamb is grass-fed and free range and we were the first restaurant to use non-GMO oils! DOSA has focused on creating meals and dishes with great integrity to deliver delicious, high quality meals that are fresh, healthy, bold and flavorful! Our cocktail program was designed to use freshly ground spices to balance out the delicious flavors in each cocktail. Though we have been around since 2005, we are just starting to explore the rich and broad diversity of Indian cooking! dosa by DOSA takes the care and best practices that have been developed since 2005 at our high-end restaurants in San Francisco and delivers the same quality and care at a more accessible price point and a more relaxed dining environment.